Flights to the city of Aberdeen, Scotland arrive at Aberdeen International Airport in the northeast part of the United Kingdom. The airport is close to the city center of Aberdeen, and is a small, single terminal complex. Aberdeen is a distinctive and historic city that provides a base to explore the highlands of Scotland. Sitting on the Northeast coast, Aberdeen plays a key role in the North Sea oil industry. The thriving port is surrounded by impressive countryside, golf courses, castles and estates. Sitting on the banks of the River Don, this charmng park has formal beds, a walled garden, mature trees, open green spaces and a children’s play park. A walk along the riverside through natural beauty takes you to the historic Brig o’Balgownie, a picturesque crossing of the Don that dates back to the 14th Century. Just over an hour drive from Aberdeen City, Balmoral Castle is an impressive estate house in Royal Deeside, outside the village of Crathie. Balmoral is famous as one of the residences for members of the British Royal Family. 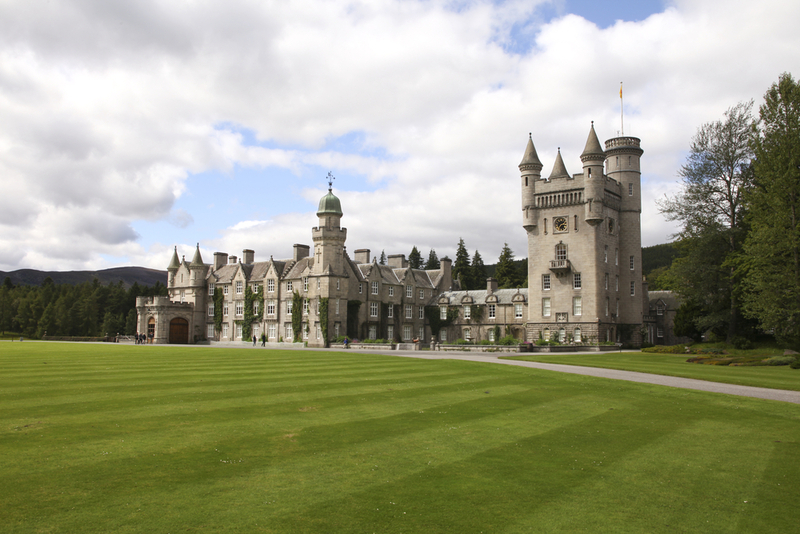 Visitors to the grounds and gardens can tour rooms and exhibitions within Balmoral Castle. This fascinating collection covers shipbuilding, fishing and the history of Aberdeen port. You can also see displays on the North Sea oil and gas industry. Aberdeen Maritime Museum incorporates Provost Ross’s House, which was built in 1593. Consider visiting the museum if you are sightseeing after you fly to Aberdeen. Castle Fraser, garden and estate is a popular tourist attraction, close to Aberdeen City. It is one of the region’s most historic buildings. Things to do in Aberdeen include a visit to Castle Fraser to venture up to the top of the round tower for views across the Scottish countryside. There is also the opportunity to admire the castle’s family treasures and art collection. Scotland is known as the home of golf and fans of the sport can find some of the most prestigious courses in the world close to Aberdeen. Visitors can book a round at the Royal Aberdeen Golf Club for a fee. Founded in 1780, it is the eighth oldest golf club in the world. Visit one of Scotland’s oldest tour houses when you visit Drum Castle, around ten miles from the City of Aberdeen. Stroll through the Old Wood of Drum, home to oak trees dating from the 1700s or relax in the Garden of Historic Roses. Drum Castle encompasses a sweep of 700 years of history, tracing its inception back to Scotland’s legendary king Robert the Bruce. 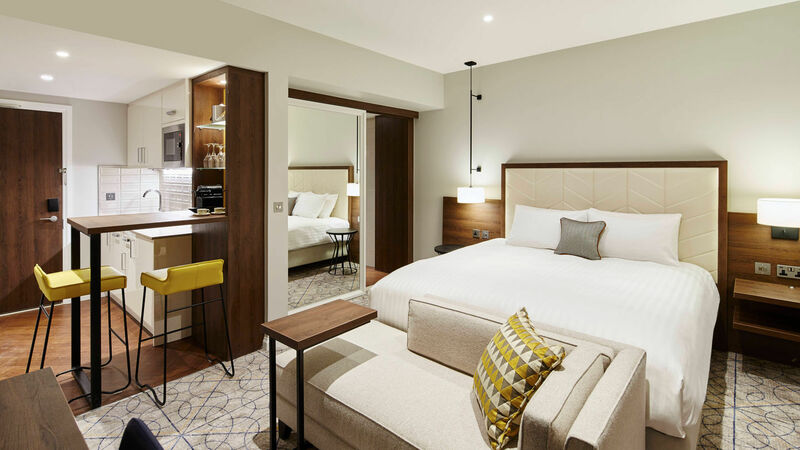 Skyscanner hotel finder helps you book the best hotel deals in Aberdeen. You can search by price, location of hotel or amenities. Accommodations include hotels, apartments, guest houses and hostels. Hotel chains with properties in the Aberdeen area include Best Western, Hilton Garden Inn, Holiday Inn Express and Marriot. *First published in August 2018. Any prices and dates included are correct at the time of publication but may be subject to change and/or availability.